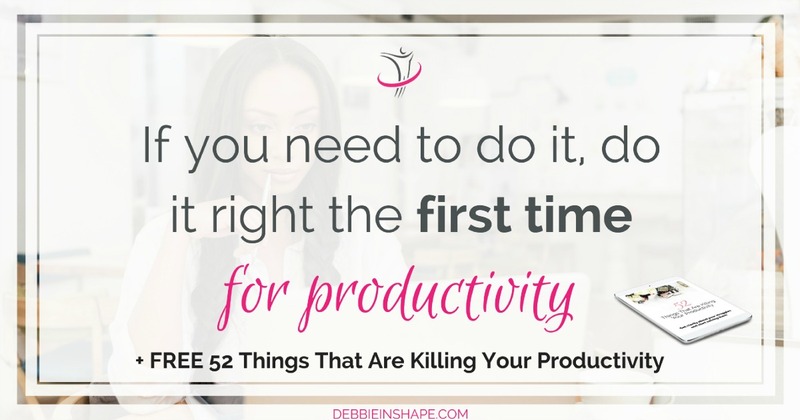 What’s for you the best approach to dealing with productivity killers? I got some tips that will help you find it out. 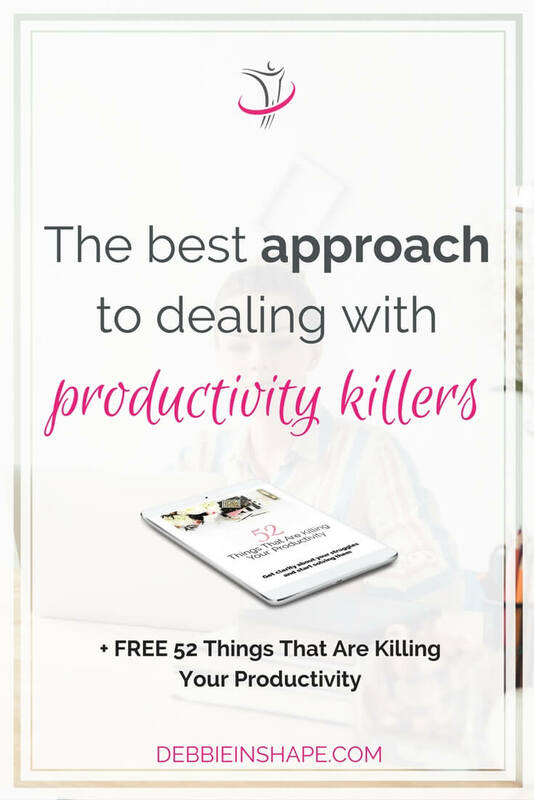 There isn’t a universal best approach to dealing with productivity killers. I remember back in the day when I worked in the corporate, I only check social media during lunch break. Even though I was active on various platforms, my professional performance didn’t depend on it. Now, I’m contacted through Facebook or Instagram, for instance, by clients, students, and followers. While I don’t check every single message as they arrive (more about it below), once a day isn’t enough for me anymore. How can we use notifications and social media, for example, without being controlled by them? 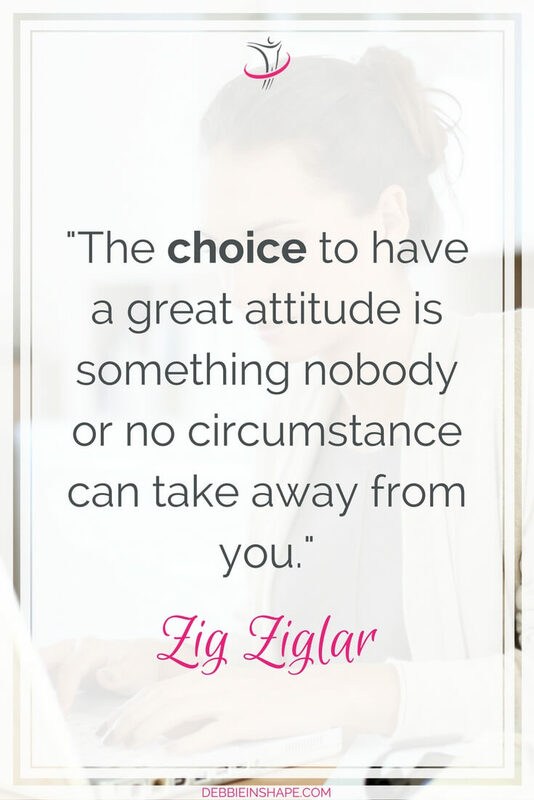 Check the approach I use for myself and learn how to adapt my tips to your needs. At a certain moment, someone decided that one was only professional, capable, and skilled enough if they accepted whatever was dropped on them. From the smallest and most insignificant tasks to major projects, unless they answered “yes” with a big smile all the time, they weren’t good enough. This is changing. Slowly, but it is. Discover when saying “no” is, in fact, a big “yes”, and see your efficiency boost. Excess of redo is a major waste, period. Of course, that we’re humans and we all make mistakes. Hoping to be perfect isn’t a productive mindset either. Yet, you have a lot more to gain if you focus on your tasks and perform them the best way you can. You’ll get a lot more done if you do it right the first time. 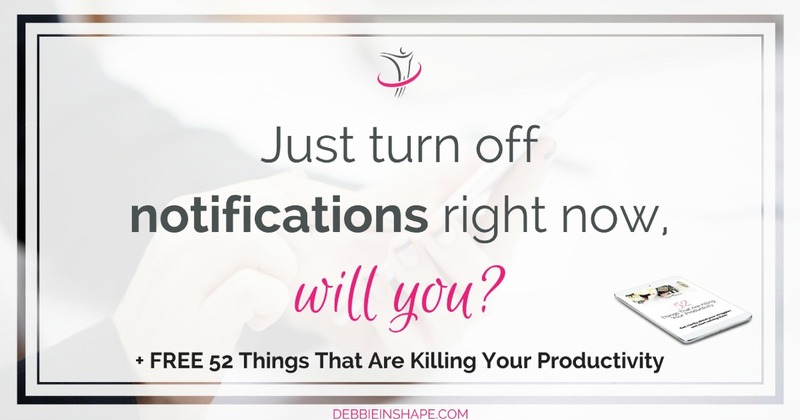 Just Turn Off Your Notifications Right Now, Will You? I’m not a notification hater, however, it steals a good chunk of your day if you aren’t careful. If you think your addiction to beeps and vibration needs a total rehab, you just have to shut them all off. But, if you want to find ways how you can use them to your advantage, I got some tips for you on the blog. I love CoSchedule* and I cannot lie. It saves me a lot of time with one of the most dangerous productivity killers of these days: social media. The great news is that you can still be relevant and share useful information without spending endless hours scrolling through your feed. 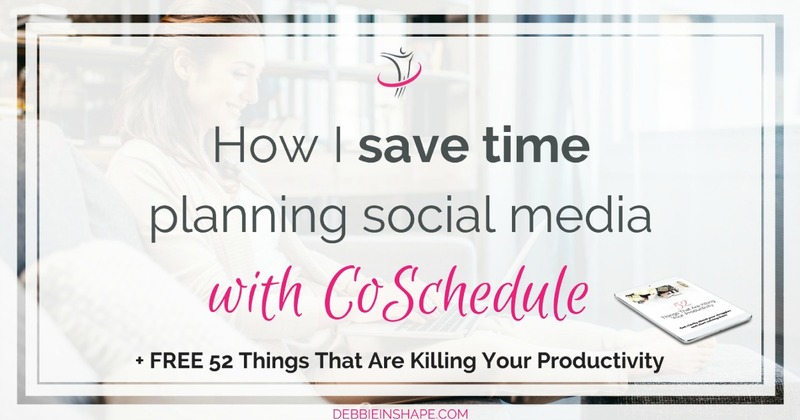 On the blog, I share how I use their latest features to free precious time to engage with my clients, Tribe, and friends. There isn’t a one-size-fits-all ideal approach to manage efficiency blockers. With my coaching clients, for instance, I go through their as-is situation, goals, and needs first before even starting discussing solutions. 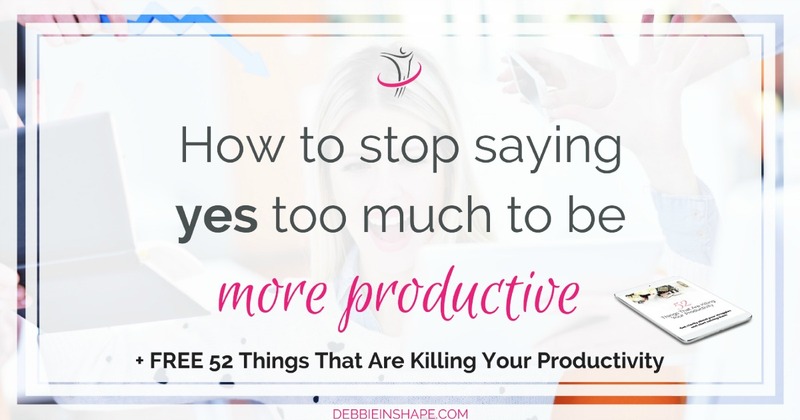 Who you are, what you do, and your objectives play a major role on how you attack productivity killers. Make sure you go through my tips, and if you have any questions, drop me a line in the comments below. 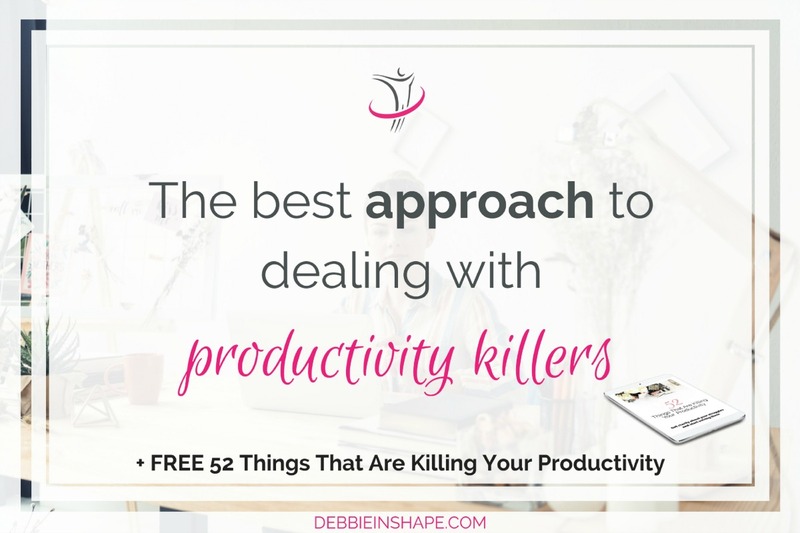 Discovering the best approach to dealing with productivity killers is what’s going to bring you closer to your goals.